Daniel Cesar Cabrera, 25, passed away unexpectedly on March 5, 2019. 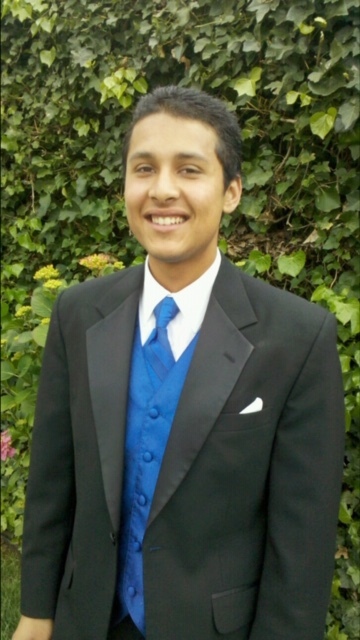 He was born on September 14, 1994, a longtime resident of Watsonville and a graduate of Renaissance High School. He is survived by his Mother, Lelani Lisiola, his Daughter, Athena Cabrera, his siblings; Robert Justin and Jessica. He was a beloved grandson to Evelyn and Dennis Custard, Robert and Lonna Blodgett, and Albina Cabrera. He was also the great grandson of Efigenio Ybarra, and is also survived by many aunts, uncles, and cousins. Daniel was preceded in death by his Father, Cesar Cabrera, and Grandfather, Santiago Ybarra. Daniel was a proud Father and loved spending time with his daughter Athena. He was a talented artist, enjoyed singing and was an aspiring rapper who performed locally. He loved being around friends and spending time with his family. He brought so much love and joy to our lives and to those around him. His laid-back attitude and great sense of humor was contagious. We enjoyed our time with him. Daniel will always be remembered for his generosity, hard-work ethic, and kindness towards others. He had a good heart, a wonderful sense of humor and was the most forgiving person you could ever meet. A visitation will be held Tuesday, March 12, 2019 from 5-9pm at Mehl’s Colonial Chapel with a Rosary held at 7pm. Mass will be held Wednesday, March 13, 2019 at 1pm at Assumption Church. Burial to follow at Valley Public Cemetery. Mehl’s Colonial Chapel was entrusted with the arrangements.